I love shiny jewellery and pretty things. I'm hoping Santa might bring me one or two because I think I've been at least a little bit well behaved this year. 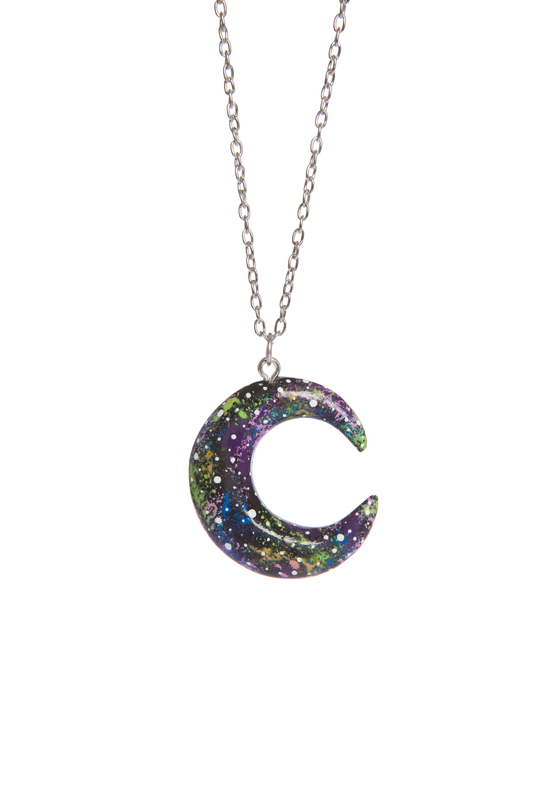 The print on this necklace is just gorgeous, I love galaxy print, and it works so well with the moon shape of this necklace. I have a few pieces from Bete Noire and love them. Oh BloodMilk. How you do torment thee. Such beautiful designs. Such lust. I love everything they do! What shinies are you hoping Santa will bring you? Help Sugar & Vice get their Christmas Miracle!